“The outlook for Nordic banks is stable as operating conditions will remain supportive for banks in 2019 amid robust economic growth”, says Moody’s Investors Service in a report published on the 12th of December. The credit rating agency expects economic growth of 2 to 2.5% across the Nordic region to support loan quality in 2019, and protective features built into banks’ underwriting standards will mitigate the risks posed by high household debt and fast-rising house prices. Large Nordic banks will remain more profitable than most of their European peers, supporting their robust capital levels. The banks are among the most cost-efficient in Moody’s rated universe. Access to capital markets, an important source of funding for Nordic banks, will remain strong over 2019, although funding costs may rise marginally. Reliance on volatile market funding will be partly mitigated by the wide use of more stable covered bonds. The report is available to subscribers here: moodys.com. The Swedish government plans to lower corporate taxes in two stages from 22% down to 20.6%. The rate is to fall to 21.4 percent from Jan. 1, 2018 and to 20.6 percent in 2021, Finance Minister Magdalena Andersson said on Wednesday. At the same time, the intention is to take measures against aggressive tax planning and make the tax system more transparent. This will involve new rules on deductible interest payments which have been quite generous so far. The proposal includes restrictions for deductible interest payments in certain cross-border situations (hybrid rules) as well as restrictions for deductible interest in certain internal loans. New rules on financial leasing agreements are also to be expected. The original plan was to reduce the corporate tax rate to 20% (the prevailing rate in Finland). Despite cultural, economic and business differences the Nordic countries have many positive aspects in common. The choice of where to locate a business in this part of the world will naturally depend on the specific nature of the business in question. Scandicorp will happily discuss with you about the benefits of a specific country for your business. In this article, we will look at 10 good reasons for a foreign business to establish a presence in the Nordic countries (Norway, Sweden and Finland). The Nordic countries rank very high in international benchmarks in the top places of the most secure and best places to live, least corrupt countries and one of the best health systems in the world. Everything works. If something doesn’t work, it will usually be addressed as soon as possible. You save a lot of time and nerves when you can rely on the infrastructure, logistics and timekeeping etc. Most Nordic people are fluent in English and will be more than happy to practice their English with you. Although a basic understanding of the local language will make everyday life easier for you. 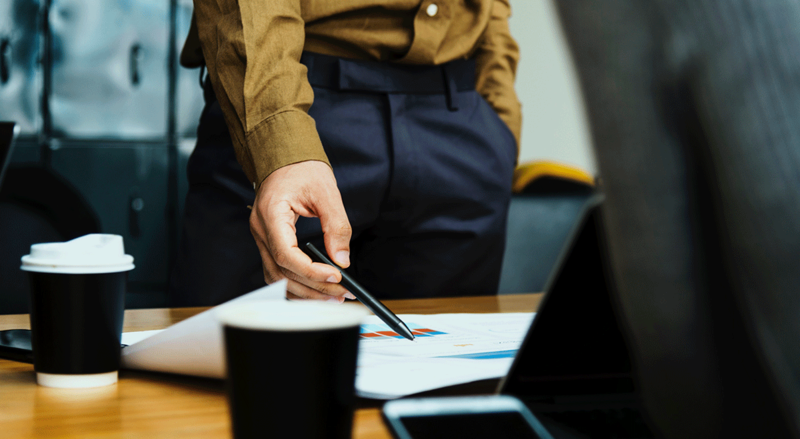 Thanks to a good public schooling system and a high overall level of education, recruiting locals will be relatively easy in most fields of business. The Nordic countries have traditionally been perceived as high-tax jurisdictions. However, the corporate tax rates are very moderate in international comparison. The Nordic countries have a very strong financial sector, a stable, ethical and predictable business environment. This provides a solid base for a long-term business solution. Good logistics thanks to modern airports, efficient ports and railways. The governments of the Nordic countries as well as local communities have encouraged and supported research and development, the creation of start-up hubs and events. The atmosphere for start-ups has proved to be very inspiring. It’s good to find local partners who you could collaborate with on common projects as this will help build your credibility. In a consistent market with a strong purchasing power due to the relatively high GDP per capita. Nordic consumers and businesses are among the first to adapt to technologically, new products and concepts. Testing your new products and technologies in the Nordics first before going global may be a smart move. 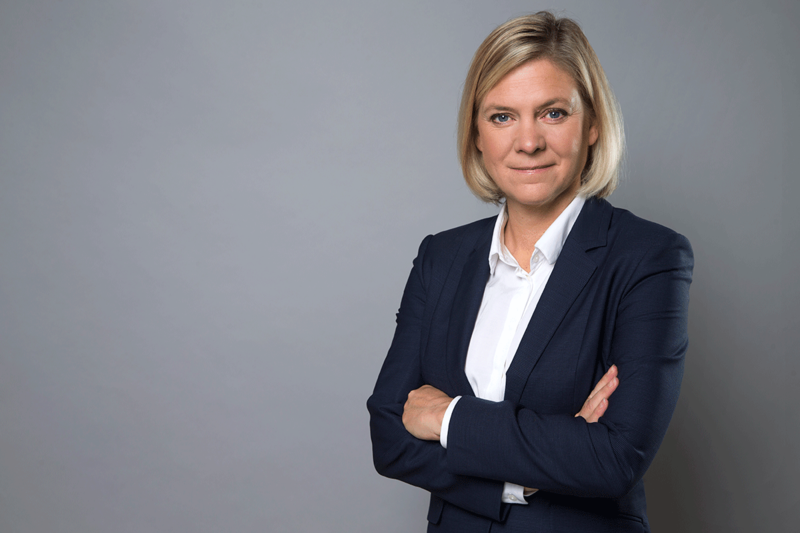 The Swedish government will propose a corporate tax cut to 20%, down from present 22% according to Finance Minister Magdalena Andersson and Deputy Finance Minister Per Bolund. The corporate tax rate of neighboring Finland has been 20% for some years now. The proposed changes also include limitations to the deductibility of interest payments for companies. The aim of the proposal is to make equity financing more attractive compared to loans. The ministers stated that aggressive tax planning will become more difficult due to reductions in the deductibility of interest. “With the proposals we want to strengthen competitiveness and create a more dynamic business climate,” they said on business daily Dagens Industri’s website. The Finance Ministry will today circulate a Memorandum to interested parties. The proposed changes would be implemented on July 1st, 2018. Sweden is the best country in the world for women, at least according to a large american survey done by US News & World Report together with University of Pennsylvania and the brand consultants BAV Consulting. The survey ranks 80 countries around the world based on how closely people associate them with certain attributes such as human rights, gender equality, income equality, safety and overall progressive attitude. More than 21,000 respondents were interviewed and most of the respondents classified themselves as belonging to an ”informed elite” or being decision makers in business. The other Scandinavian countries also did well: Sweden was followed by Denmark and Norway. Finland came 6th. According to New York Times this may come as a surprise to American conservatives, some of whom — like the Fox News host Bill O’Reilly have argued in recent weeks that criminal hordes of Muslim immigrants have forced frightened Swedish women to barricade themselves at home. On the other hand some other studies suggest that Sweden may not be perfect paradise for women. Earlier this week, an organization promoting diversity in the workplace investigated a number of Sweden’s biggest private equity firms and found only 3 out of 92 top positions were held by women. Around 32 percent of board members of listed companies are women, and this figure appears to be growing. Bloomberg Markets recently published a survey ”The Battle of Ideas” ranking the most innovative countries in the World. South Korea topped the list. The silver medal was won by Sweden which climbed up one place from last year passing Germany. The Nordic countries are still highly ranked on the list: Finland as number five, Denmark as eight and Norway as fourteen. Bloomberg ranks countries on the basis of parameters such as patent activity, number of high-tech companies, education and research. Bloombergs survey correlates well with another recent report, the Global Talent Competitiveness Index 2017 (GTCI) published by Adecco and INSEAD. According to this report the Nordic countries rank among the top in the World. GTCI focuses on how technology affects talent competitiveness and the nature of work. Finland is ranked best in formal education, vocational enrolment, social mobility, environmental performance, employability, ease of finding employees and availability of scientists and engineers. Do you want to set up your business in one of the most innovative regions of the world? Feel free to contact Scandicorp who will happily provide you with any help and information. The Nordic countries ranked as top five overall in this year’s Global Sustainable Competitiveness Index. Sweden as first, followed by Norway, Finland, Denmark and Iceland. Altogether, the index evaluated 180 countries across their natural capital, resource intensity, intellectual capital, social cohesion and governance. The Global Sustainable Competitiveness Index utilizes recognized data sources (the World Bank, various UN databases) and 109 quantitative performance indicators to measure performance. The index was compiled by Swiss-Korean sustainability think-tank and advisory SolAbility. The Nordic countries will no doubt be a good choice to establish a Cleantech startup. Likewise this market would be well suited for established Cleantech companies to test their products and services. Scandicorp will gladly provide you with guidance and corporate services. The world’s oldest central bank, Sweden’s Riksbank, was the first to issue paper banknotes in the 1660s. Now it is launching a project to examine what a central bank-backed digital currency would look like and what challenges it would pose. It hopes to take a decision on whether to start issuing what it calls an “e-krona” within two years. Sweden has seen a dramatic drop in the use of cash – down 40% since 2009. Cecilia Skingsley, deputy governor at the Riksbank: “This is as revolutionary as the paper note 300 years ago. What does it mean for monetary policy and financial stability? How do we design this: a rechargeable card, an app or another way?” Cecilia Skingsley gave a speech today at a Fin-Tech conference in Stockholm. She pointed out that the “e-krona” will not replace cash and other means of payment but would function as a complement. Other central banks such the Bank of England and the Bank of Canada have started looking at the potential benefits and challenges of digital currencies such as bitcoin. 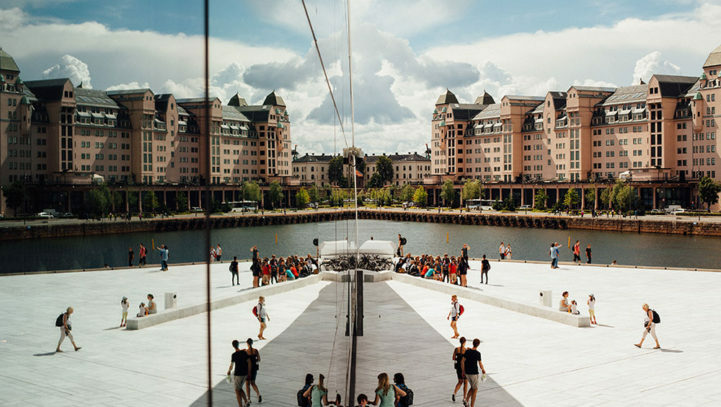 A recently published report by the World Bank places Sweden as the 9th easiest places to do business in out of 190 countries surveyed. The 2017 edition of the report, which is the 14th instalment of the annual study, appraises policies and regulations which boosts business activities in a country. Besides cost, other notable factors taken into consideration by foreign investors when assessing a country for investments include political and economic stability, risks, business policies, transparency, monetary and fiscal policies, bureaucracy, human capital, logistics, infrastructure and intellectual property protection. In contrast to Sweden’s reputation for tricky bureaucracy, this year’s report shows it is becoming a more efficient place for business, with increased administrative efficiency highlighted, as well as praise for new automatic registration of mortgages and renewal of ownership. The report ranks New Zealand as the best, Singapore as the second best and Denmark as the third best countries in the world for doing business. Overall the Nordic countries scored high with Norway as 6th and Finland as 13th. Denmark, followed by Norway, Finland and Sweden turned out to enjoy the world’s best and fairest rule of law according to a new global ranking report by the World Justice Project (WSP). Rule of law is a fundamental condition for liberal democracy. More than 100,000 households and experts were surveyed to measure rule of law in 113 countries. The index is based on the primary factors of: constraint on government powers, absence of corruption, open government, fundamental rights, order and security, regulatory enforcement, civil justice and criminal justice. One more good reason to establish a business presence in the Nordic countries?